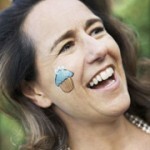 Helen Nathan came up with a brand and marketing plan before for her series of baking books for kids before the books were even written. Today, licensing deals yield 4x her book royalties. If Microsoft Takes Over Nook, What Next? 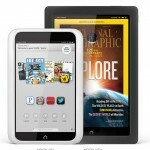 Microsoft is said to have offered Barnes & Noble $1 billion to buyout the Nook Media business. Where would that leave the retailer going forward? Amid the glut of online info and entertainment, how can publishers show consumers that books are important, asks Erin Cox. Join our Reaching Readers Conference on May 28 to find out. The recent Sharjah Children's Reading Festival offered a unique spectacle for readers and a snapshot of children's book publishing issues in the Middle East. Internet literature may be booming in China, but a recent survey reports that a majority of readers have been disappointed and unsatisfied with the quality of the books. What Does "Post-Digital" Book Discovery Look Like? The challenge with digital is discovery, so David Roth-Ey of Fourth Estate and William Collins, is now looking at new ways to engage potential readers, including live events.